Creating photo books with our partner ReSnap is quick, easy and intuitive. And when we say easy, we mean really easy. Trust us. 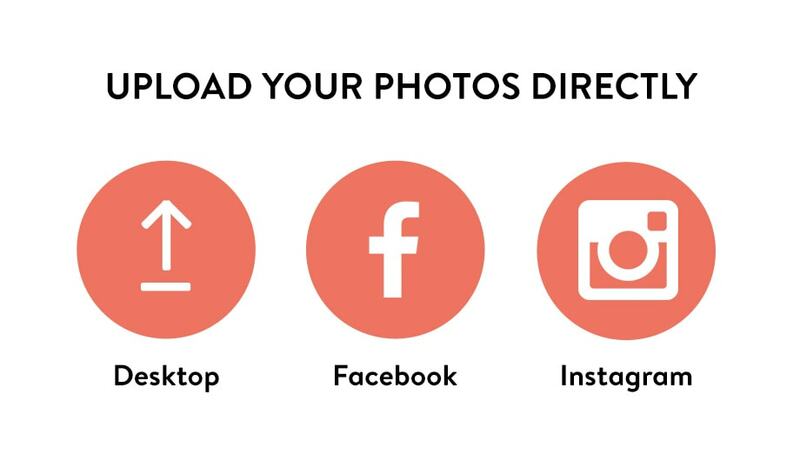 All you have to do is upload your photos (from Facebook, Instagram, your desktop or Dropbox) then thanks to some clever technology, ReSnap will choose the best photos and arrange them in a beautiful photo book for you. Once your photo book has been created (it won’t take more than five minutes) you can still fully customise your photo book and edit it however you wish. But don’t just take our word for it… Try and make a photo book at ReSnap right now.